When Carlos and Alvin (who may or may not exist, but we are not telling) and myself got together to create our beer for the Great Australasian Beer Spectacular, we had no problem problem coming up with the recipe and the type of beer we should create. However, when our packaging came up, we just couldn’t come up with an agreement. I felt strongly about a certain design, however Carlo’s and (the alleged) Alvin had a cooler reception to it. While I believed it was a strong design, I trusted their instincts and tried to come up with an alternative. The more I tried, the more I felt my original design was better than anything new I could come up with – and since the design stuff is my little corner of the business, I felt a lot of pressure to make something happen, but nothing was happening. I had scribbled a few things in my notebook, but nothing seem to take hold. About a week later, I happened to catch my Polish friend Anja online. Because of our time zones, we don’t often catch each other often, but we had a quick chat on skype. One thing of the reasons I love talking to Anja is that our conversions can turn very random, very quickly. Sadly, I no longer have our dialogue, I do remember we talked about her birthday, which fell on the same day as the Chernobyl disaster. 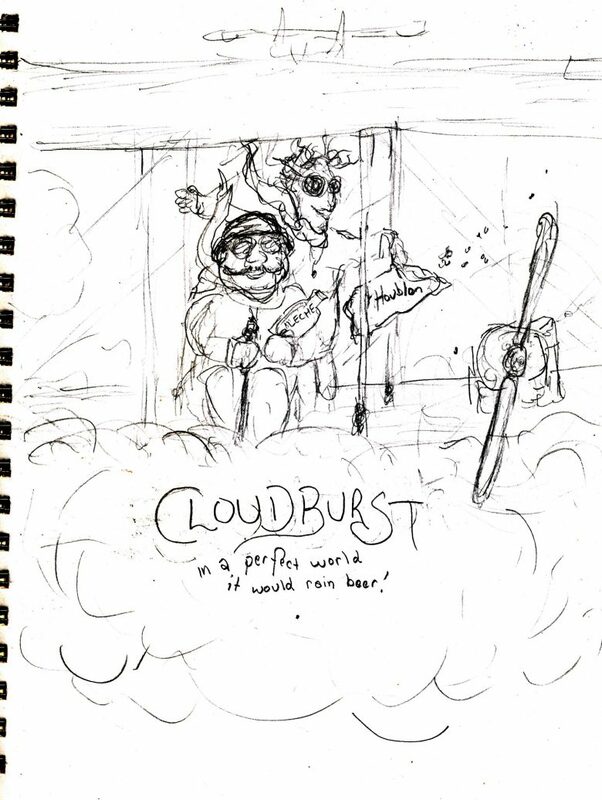 Afterwards, I looked up information about the event, and learned something about cloud seeding. 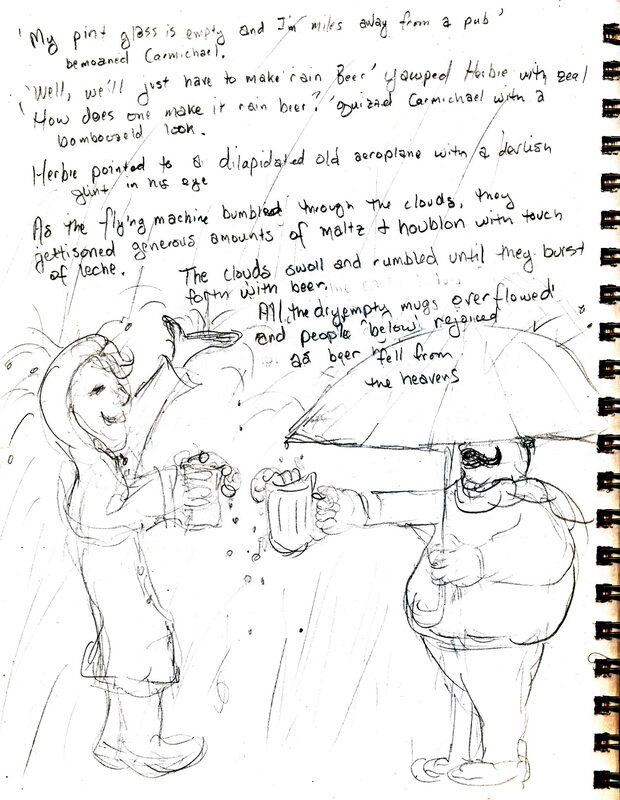 As a matter of course, it didn’t hit me until later that I take that same cloud seeding attempt and apply to something more positive – like beer! 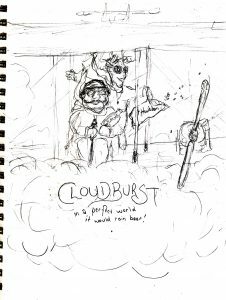 Read more about our next new beer Cloudburst, sparked by a random conservation halfway around the world!